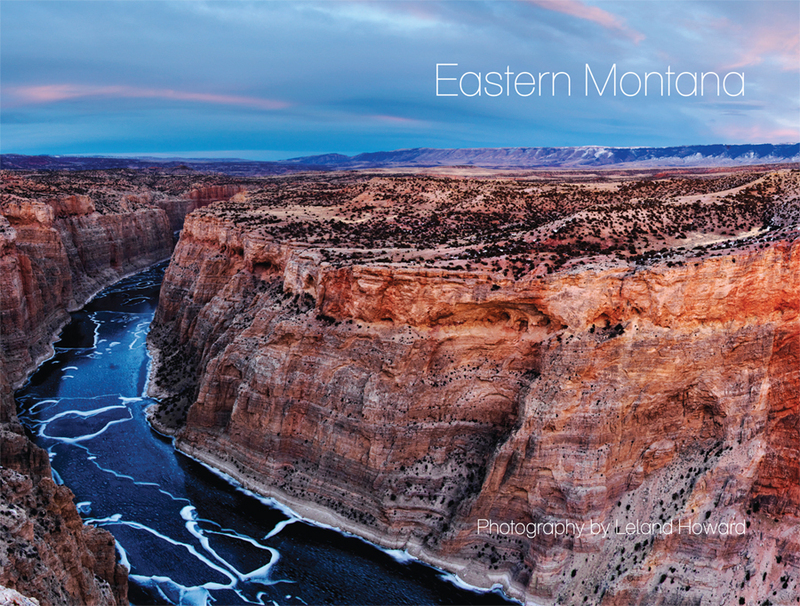 Brother-sister duo Leland and Lynna Howard celebrate Montana’s prairie region with their new book, Eastern Montana. The book underscores the beauty of this unsung landscape with striking images, poetry, and creative descriptions. Proceeds from the book will support Global Health Equity Foundation (GHEF), a non-profit organization that seeks to improve access to healthcare in underserved communities. the unexpected beauty and character of Eastern Montana. As a city dweller, turning these pages brings me a glimpse of a world that I rarely experience. The people of Eastern Montana are a real presence in this book—a depiction of life both tough and rewarding. Eastern Montana combines the talents of Leland Howard, an award-winning nature photographer, and Lynna Howard, an accomplished and award-winning writer. Download sample double-page spread, PDF, 4.3 MB. Download sample double-page spread, PDF, 2.5 MB. 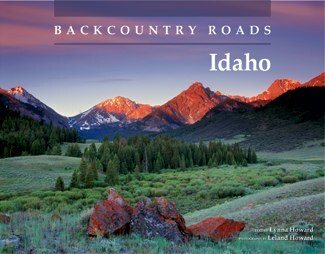 Backcountry Roads—Idaho is a beautiful, informative and practical guide to the Gem State’s hidden treasure of roadways. Award-winning author Lynna Howard provides GPS coordinates, expedition maps, and detailed descriptions for would-be explorers. Her creative flair brings backcountry travel to life with an immediacy that engages all the senses. Enhanced by more than one hundred photos from photographer Leland Howard, Backcountry Roads—Idaho is a rarity, a guidebook that is also a work of art. Expeditions cover all of the state, from the Panhandle to southern Idaho. 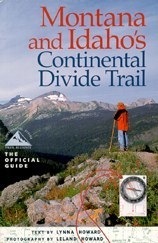 Order at http://www.caxtonpress.com/store/backcountry.html or call 1-800-657-6465. Order autographed copies by contacting Lynna directly at lynna.howard@mac.com. Download a sample chapter> Expedition25.pdf. Lynna Howard uses her exquisite talents as a writer to make one feel every step of every backcountry expedition listed in the book. She is equal parts pragmatic and sensual in her approach, providing an extensive and clear list of driving directions, contacts, and useful advice; yet all the while she interweaves the text with playful, Heaney-esque verse (in the form of ‘trail notes’) that ineluctably draws the prospective tourist in. Leland Howard’s photography is simply breathtaking. In addition to his technical brilliance, discerning eye, and the crisp, vibrant quality of his images, he appears intent on allowing Idaho’s landscape to speak for itself. The results are visceral vistas and panoramas that are dramatic yet genuine – and which I now yearn to experience for myself. “Our most moving (spiritually and literally) wildlife sighting was of a herd of wild horses. A black stallion with ropy muscles pushed his mares and one spindly colt into a run as they left the grasslands near the creek and headed up into the rocky hills. Their long tails and manes swept the tops of sagebrush and greasewood as they ran.” – p.264. Text by Lynna Howard and Photography by Leland Howard. 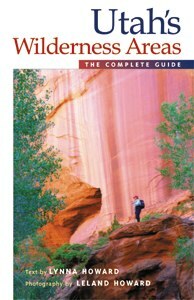 The Complete Guide is an extensive guidebook that helps hikers and backpackers of all skill levels explore the most beautiful places in Utah. Author Lynna Howard, along with her photographer/brother Leland, leads you on trails of all difficulty levels across the varied terrain of this scenic state. A guidebook in Westcliffe’s trademark style, the book is packed with over 100 full-color photographs, as well as detailed trail and overview maps and regional color-coding. Lynna Howard provides clear trail descriptions and other important information for each hike, such as where a hiker might find drinking water or a campground for the night. However, her text is also peppered with wry wit and poetic depictions, making the book not only instructive but an enjoyable read as well. Leland Howard’s vivid photographs provide examples of the beauty one might encounter in Utah’s most remote and breathtaking wilderness areas. Covering 99 designated and proposed wilderness areas, wilderness study areas, and instant study areas, the Howards have teamed up to create an invaluable tool for all those who wish to fully experience the splendor of Utah’s wild areas. From the High Uintas Wilderness in Northeast Utah to Ashdown Gorge Wilderness in the Southwest, this book leaves no wild part of Utah unexplored. Text by Lynna Howard and Photography by Leland Howard. Nearly 1,000 miles of rugged scenery along the Continental Divide Trail link Yellowstone National Park to the border of Canada--and the story of that trek is exhilarating. 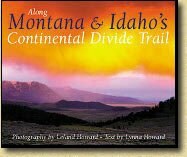 Leland Howard's photographic tribute to this beautiful part of the Continental Divide, combined with Lynna Howard's reflective and insightful account of their experiences along the trail itself, lead the reader into parts of the country that remain for the most part wild and unexplored. "On the Continental Divide, summer is a chimera whose light hand quickly releases its hold," Lynna writes. "It is this fleeting beauty, the changeable nature of the land and the weather, and the threat of danger behind it, that defines Idaho and Montana's Continental Divide National Scenic Trail."